During term-time, morning services continue on to NUIG and GMIT. 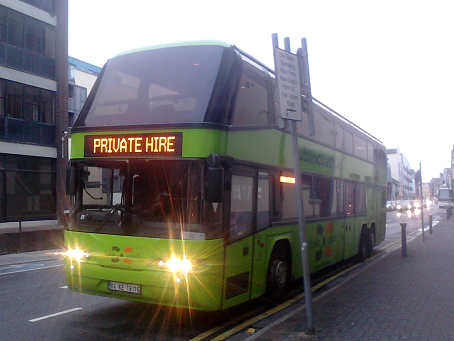 Daily services to Sligo and Donegal. Sunday 8pm service leaves from Eyre Square, stop 8, opposite O'Connell's pub. 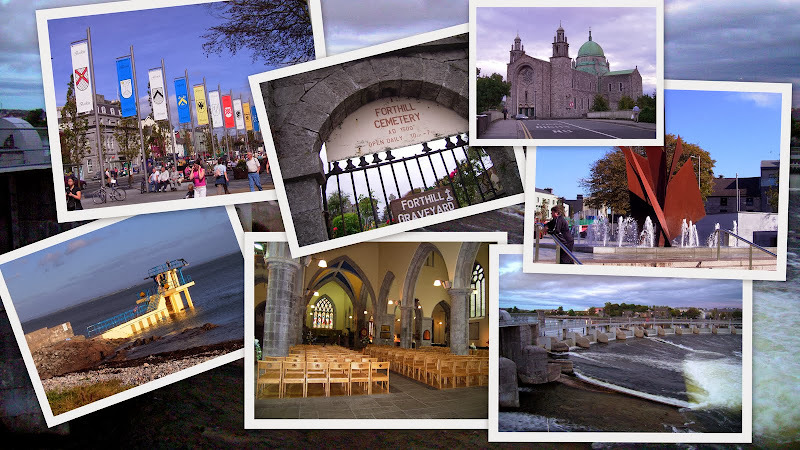 All others leave from Galway Cathedral. 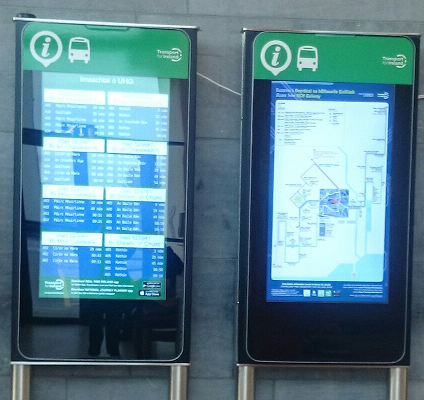 Weekend services between Galway and Castlebar – Westport, via Neale, Ballinrobe and Ballintubber, Ballyheane, Partry, Headford, or via Balla, Claremorris, Tuam). Targeted to 3rd level students - open to anyone. Various Fri and Sun services, and some mid-week, between Galway (NUIG, GMIT, Gort na Coirbe) and Belmullet, Castlebar, Westport. 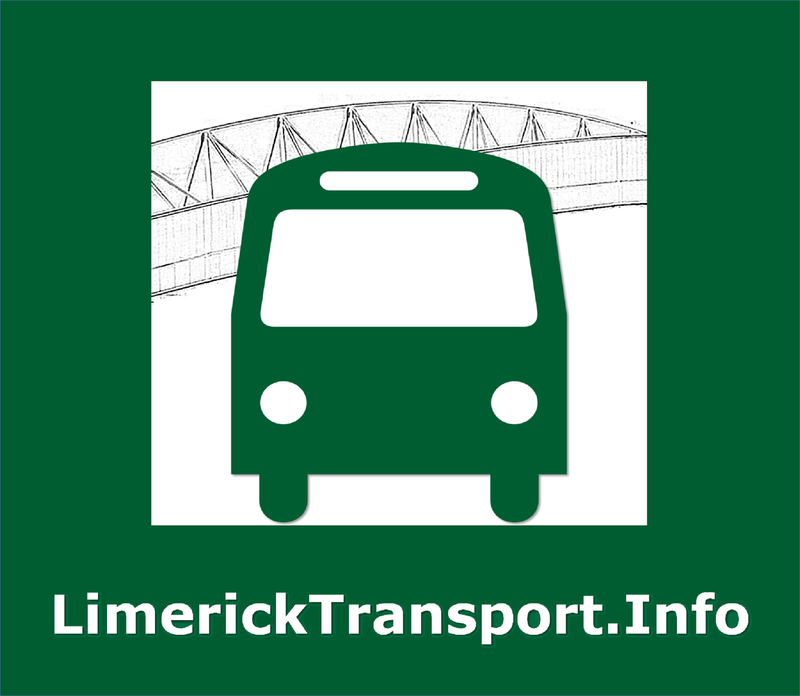 Also run student services from Co Mayo to Limerick which pick-up/drop-off in Oranmore. Most services are term-time only - see their website for details, phone to confirm. Running Sept - May. 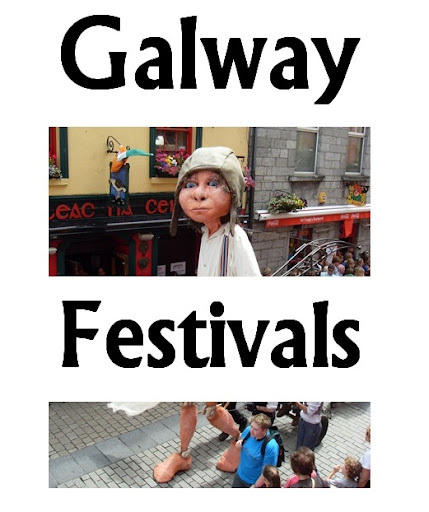 Service from Monaghan / Clones / Cavan to Galway (NUIG and GMIT) on Sunday evening, return service on Friday afternoon. Run services during NUIG and GMIT term times on Thursday, Friday and Sunday. From Carrigallen, via Arvagh, Drumlish, Longford, Edgeworthstown, Ballymahon, Glasson and Athlone IT. Route 52 - Ballina - Westport - Castlebar - Galway. Route 64: Galway - Knock - Sligo - Letterkenny - Derry. Route 422 Westport – Galway. Route 425 Galway - Mountbellew - Roscommon - Longford. 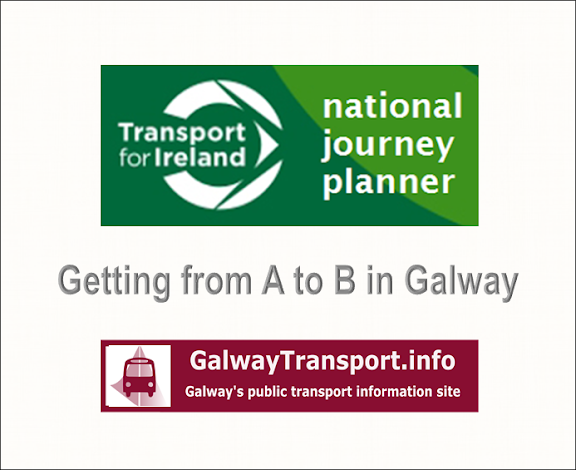 Route 456 Galway - Ballinrobe - Westport - Castlebar - Ballina.